Alex Badman is an associate who focuses on estate planning and administration. 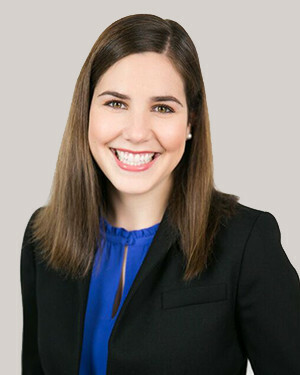 Prior to joining Virginia Estate and Trust Law, PLC in 2017, Alex began her legal career at a general practice law firm in Lexington, Virginia, before moving to Richmond and narrowing her practice to trusts and estates at Roberson, Shepard & Turner, PLC. Alex received her undergraduate degree from Trinity College in 2010, and her law degree from Northeastern University School of Law in 2013. Alex is originally from Rhode Island, but is happy to call Richmond home. She is currently serving as a member of the Board of Directors for Commonwealth Community Trust and the Young Women’s Leadership Alliance for the Richmond YWCA.